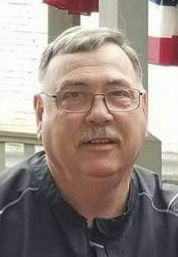 Obituary for Joseph "Pops" Paul Wilson, Sr. | Family Care Services, Inc.
Joseph "Pops" Paul Wilson, Sr.
Lisbon – And now the warrior rests, Joseph “Pops” Paul Wilson, Sr., 70, of Lisbon, formerly of Leetonia, died, Thursday, February 7, 2019 at his home. He was born December 7, 1948 in Salem a son of the Late, Edward and Sarah “Betty” Woodburn Wilson, Sr.
Often known by many as “The Joe Wilson” worked as a foreman with Eljer, Salem, until retiring in 2005. He was a former member of St. Patrick’s Catholic Church, Leetonia and is Catholic by faith. Joe was an avid sportsman all his life, serving as a football coach with Leetonia High School, Lisbon High School, Crestview High School and Sebring High School, he was a member of the Leetonia High School Athletic Booster Club and the Lisbon Touchdown Club. Joe was more than a coach, he was a leader and mentor to all the players he coached over the years. His coaching years were spent in many team colors, but he always said he bled green and white for West Branch, his alma mater. In his youth Joe was a stand out athlete and was one of the first inductees into the West Branch High School Football Hall of Fame. When he wasn’t on the field Joe was a member of the OSI and in his later years took up cooking, especially cookies, ravioli and gnocchi. More then anything, Joe loved his grandchildren, he enjoyed Facetiming with them and attending all their sporting activities. He was proud of all his children’s accomplishments and often bragged and boasted to his friends about them. He is survived by his loving wife, Kathy Wilson of Lisbon, whom he married, June 6, 1970; three children, Annie (Matt) McCullough of Lisbon, Joseph Paul (Mark) Wilson, Jr. of Grove City, OH and Dr. Sarah (James) Shevchuk of Congers, NY; two brothers, Jeff (Gwen) Wilson of Alliance and Glenn Wilson of Salem; loved one, Gary Glunt of Pataskala, OH; a granddaughter, Fiona; three grandsons, Baily, Ryan and Jameson, one great grandchild on the way and numerous other nieces, nephews and family members, all adored by Joe. Joe was preceded in death by a sister, Betty Jean Bryant; four brothers, Edward, Jr., Charles “Chuck”, Sydney “Pat”, and William Wilson; a nephew, Scott Wilson and his mother and father in law, Peter and Catherine Guido Calabrese, for whom he shared a deep love. Visitation will be held from 10:30 a.m. to 12 noon on Monday, February 11, 2019 at Wood-Rettig Funeral home, Leetonia. A funeral service will be held at 12 noon on Monday, February 11, 2019 at the funeral home with Reverend Stephen Wassie officiating. In lieu of flowers memorial donation may be made to the Lisbon Touchdown Club, P.O. Box 53 Lisbon, OH 44432.